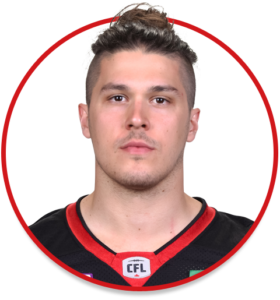 Louis-Philippe Bourassa is a long snapper currently playing with the Ottawa REDBLACKS. Drafted by the REDBLACKS in the 4th round, 36th overall, in the 2017 CFL Draft. Played in 16 regular season games and the only playoff game for the REDBLACKS. He recorded four special teams’ tackles.